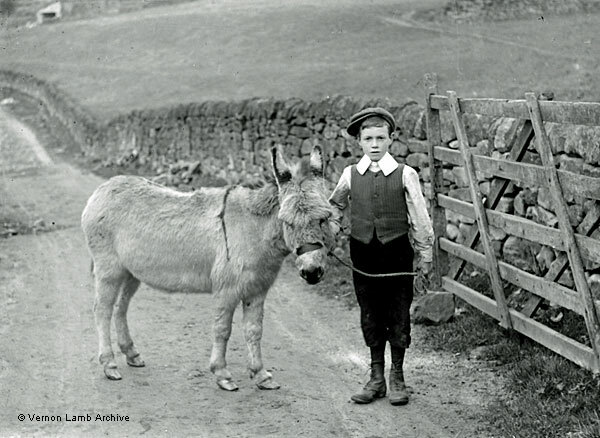 Description/Historical Information: Young boy beside farm gate holding donkey's reins (rope). Dry stone wall behind them. Boy is smartly dressed, with starched collar.